Several times a week I find myself in a nostalgic reminder of my youth, an athletic sanctuary of sorts. Beautifully waxed hardwood floors glisten as my psyche reverts to days of glory, days when sport was all life was to me. As a child I grew up living across the street from a pretty large outdoor basketball court that was quite popular. During the summers in Florida it stays light outside until almost 10 sometimes. My brother and I would sleep in and after doing some chores laid out by mom, we’d fill up a couple old milk gallons with Kool-aid, grab a sleeve of plastic cups, a basketball, and make our march across the busy street of Merrill Road. Lake Lucina Elementary boated some stiff competition from neighborhood boys in those days. 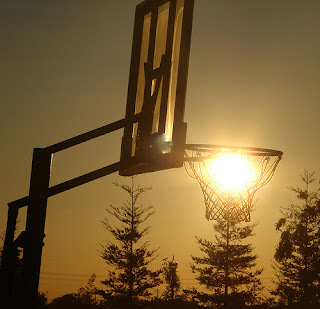 There was nothing more to the joy of life than running on that court with friends all day, letting basketball tire us out until we were forced to reconcile ourselves back to our home just in time for a little dinner before we would go back across the street to play until the sun went down. I’d suppose many childhood memories are like this. As I grew up playing basketball competitively seduced me and captured my attention throughout middle school and high school. I think there is something significant to competition, but see extra merit in the child-like freedom experienced when playing basketball. Many years passed, many moves made, and too many injuries had. I’m 27, married, and live in Carmel Indiana. I find myself in much different circumstances then I was growing up in Jacksonville Florida. One common thread is still basketball. I now find myself several times a week on the same court with the same group of guys, collectively expressing our inner-child. I once read an article about Facebook personalities. It was interesting and pretty spot on. The article basically profiled a handful of personality types that can be found on Facebook. I think that stereotypes applied to oppress people are inappropriate, but will not go so far as to say some stereotypes are not spot on and actually pretty humorous. This would be the case on the basketball court and I think it beneficial to cover those here and now. I’m sure there are many more than I can think of, but here is a start at the types of guys I’ve experienced where I play currently. Old School- Old guy, typically wears a lot of braces, fouls no matter what, and may even be the cat rocking goggles. You can tell he used to be a baller- similar to Old School, but actually contributes, he may be several decades removed from his prime, but watching him play defense and making the right decisions for his team mates convinces you he used to be a baller. He is the guy who will set you a nice screen, always. Wild Youth- The young gun who has no care for his or anyone else’s safety, typically dives on the floor for loose balls, always in the paint jumping for rebounds, and fearlessly running at full speed up and down the court. You always cringe when he guards you or if he is on your team, when he shoots or goes in for any layup. Age is not a factor, there are old guys who fall into this category too. Didn’t make it and now is pissed at the world- This guy is actually good, but has a nasty attitude. He is always yelling at people for not making decisions he deems best. He is the one you hate playing with, even though you know he can put up the points. He is critical of everyone else and feels he has personally been called to scrutinize all his team mates. There is a high percentage chance he has a tattoo of a basketball or the Jordan brand logo. He is the only one that doesn’t realize how abrasive he is. Napoleon- This is the guy you can tell your wife about when you get home. He is the guy that you warn all your friends you bring with you for the first time about. Without even knowing who he is after being on the court for about 2 minutes anyone can point him out. Usually 5’8” and under. He loves to yell at people, much like Didn’t make it and now is pissed at the world, without the skill level. He usually thinks he is the best guy on the floor and says things like, “I could drop 40 on you if I wanted.” He takes himself way too seriously and is oblivious to the reality that he is the laughing stock of the court. People will wait out games to avoid being on his team. Coach- Guy is always coaching his team mates. No one listens to him, yet he continues to talk. He calls out plays and tells you he wants ball screens and points you to the post. He likes to yell at others also. He is the guy people talk about how much they dislike at the water fountain. Usually he and Napoleon can be one person. Make it Rain- Typically not a regular, but shows up just enough so everyone knows he is this guy. He is usually the one you avoid passing too because he will throw the ball up from anywhere on the court with no sense of direction. He is notorious for blowing wide open lay ups. Obviously too good to be playing with us- This is pretty self explanatory. His skill level far exceeds everyone else’s on the court. He is usually a pretty nice guy, but just isn’t fun to play with because he does whatever he wants when he wants and there is nothing you can do about it. 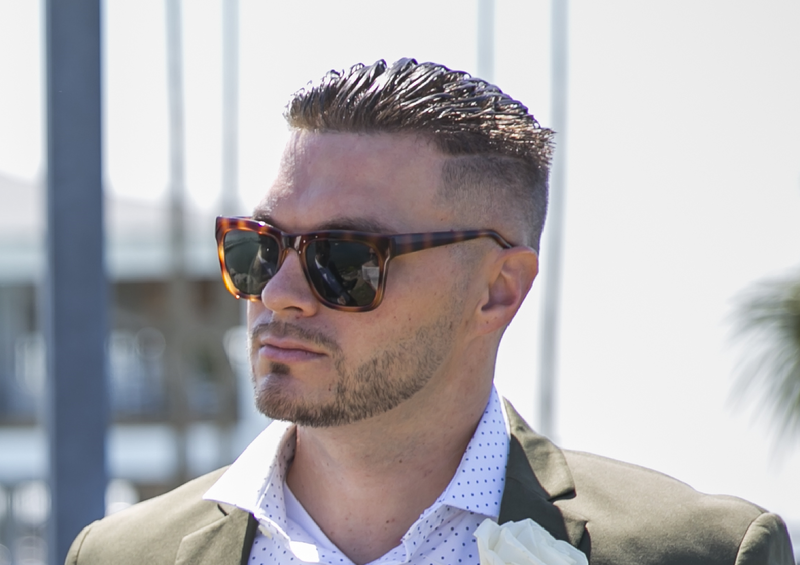 JUCO dreamer- This cat loves to talk about how many years of eligibility he still has and how he is going to a JUCO (junior college) to play so he can get transferred to a D1 school. He is always good and you can often get him mixed up with Obviously too good to be playing with us but the major difference is that he is always talking about where he will play ball. He doesn’t realize it, but the reason he didn’t make it and is still JUCO skipping is his attitude is poor and he doesn’t pass the ball. Old man in the Corner- No one ever passes him the ball, but religiously he runs the court and spots up in the corner. On the rare occasion that he gets the ball he knocks the shot down perfectly. He plays sound defense and is always a lot stronger than you anticipate him to be, which you find out when he guards you. Nice guy but no one ever passes him the ball. Foul- This guys always calls foul. If he misses or messes up a pass he will call foul. There is no discussion to be had, he will get his way or spiral into a mess of rage. Just surrender the calls and shake your head. Resistance is futile. He’s not even that good, but he always seems to drive and get to the rack, but can’t finish. No worries though because you fouled him anyways, at least that is what he thinks. Here are some other links to some types of basketball players you may encounter. These are pretty humorous articles. There is the minority group that really doesn’t’ fit into any of these stereotypes though. These guys range in skill level, but all have something in common, they realize it is just pick up ball. Mistakes are made with smiles, missed shots don’t ruin their day, and they usually gather while waiting for the next game and have conversations. They get to know each other by name, sometimes even go out for drinks. These guys are fun to play with. The hardwood seems magical sometimes. You take a 40 year old married man who has three kids and is in the professional marketplace and put him out on the court and he transforms into something different. Why is it that when adults get out on this gym floor everyday reasoning goes to the wind? Humiliating others, yelling at strangers, and being an overall repulsive person overshadow what actually might be a nice dude. The game moves to fast to have this logical discussion, tempers flair, and most of the time people walk away frustrated. Maybe you’ve never been called out on the carpet or realized who you may be. Don’t forget it’s just pick up basketball and the reason you are playing it is because you are not a professional basketball player, so relax!